Kids `R` Kids East Allen Preschool and Child Care Center invites you to tour our facilities and see for yourself why we are the most recognized preschool in Allen, Texas! Best of Allen 3 consecutive years in a row! Best of the Metroplex Best Preschool Award 2011, 2012, 2013, 2014! 1/11: We serve our healthy fresh meals in a family style manner to encourage table manners and meal time conversation. 2/11: Our classrooms are always ready for learning! 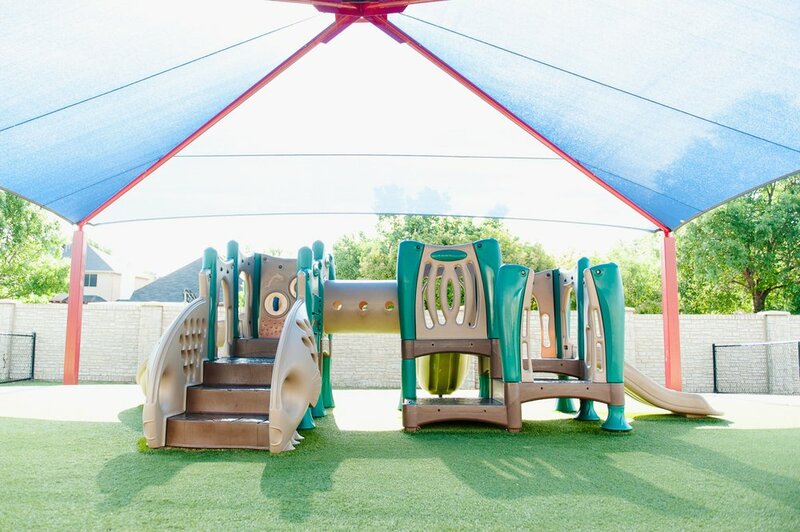 3/11: Our covered playgrounds provide our students with imaginative playtime and fun places to run off their energy! 4/11: We pride ourselves on going above the standards required to provide our families with award winning service! 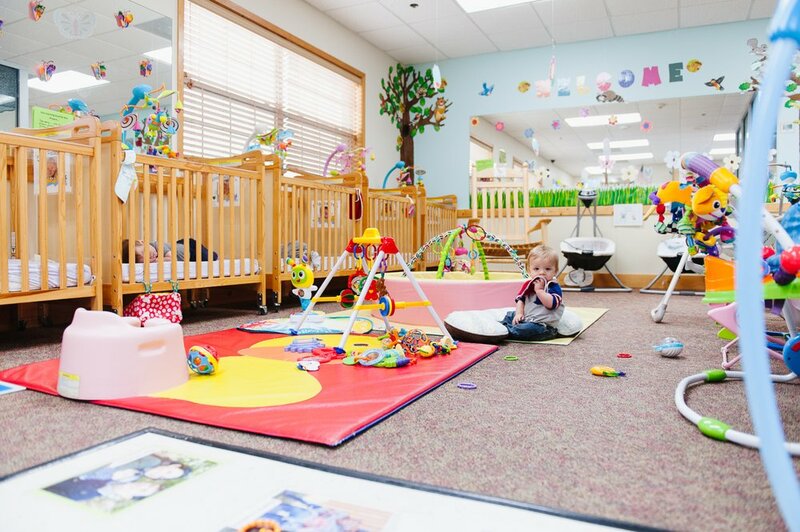 5/11: Our little ones have room to play and explore safely in our cozy infant room. 6/11: Our classrooms are bright, cheerful, and engaging! 7/11: Our playgrounds are age appropriate and ready for fun! 8/11: We encourage early literacy to build strong school readiness skills and natural curiosity. 9/11: Our Kids Cafe serves hot fresh healthy meals and a big helping of fun! 10/11: Our computer lab provides technology skills and fosters creativeness! 11/11: Our Technology Center provides personal time for students to learn at their own pace.